Blutengel are on the hunt, and the hunt promises to be a victory. Because the band concentrates on its strengths for "Vampire" to create a new hit and a potential classic. The second single of the upcoming album "Un:Gott" presents a song with a single-start chorus in a bombastic arrangement. In the tradition of songs such as "Black" or "You Walk Away" "Vampire" focusses on dancability and catchiness so Blutengel fans get what they always loved about the band. And as if that would not be enough, there is another unreleased bittersweet track called "Auf deinen Wegen" and two rmixes by Pseudokrupp Project and Six Faces. 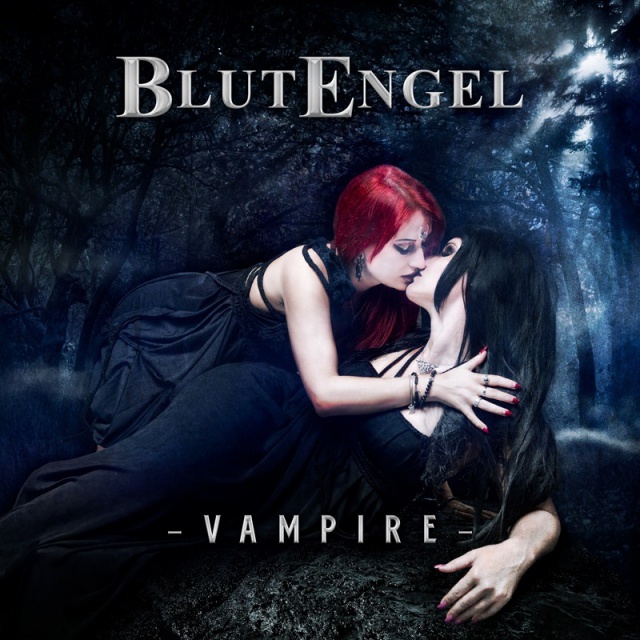 "Vampire" is released as CD and Picture Vinyl limited to 500. Available from 23 November 2018 by Out Of Line.